"I am the author of two historical biographies gleaned from the journals and diaries of my beloved grandmother, Elsie Hayes Roberts. I am currently enjoying my research and subsequent writing for my historical novel, The Colour Box. Barbara became a new creation in Christ Jesus not long after that. New-found faith stretched her worldview and took her on a path far beyond putting her “right foot in and shaking it all about (another Hokey Pokey line)!” Curt and Barbara served as missionaries running Radio Lighthouse for 38 years on the small third world island of Antigua. Although trained as a registered nurse, Barb learned how to teach her own four children, children’s church, Vacation Bible School, teen girls and Bible studies for women in prison. Curt and Barbara have three grown sons living in Southern California and a daughter and her family who make their home in Malaysia. Since returning to California Barbara has published two books and is working on a third. When growing up, Barbara spent weekends at the family cabin on Palomar Mountain. 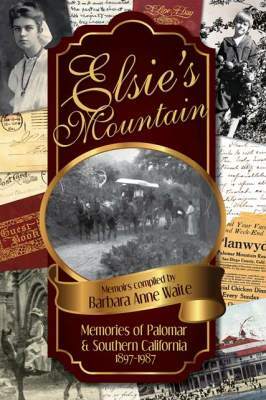 Her summers were also often spent on Palomar with her grandmother Elsie Hayes Roberts. Barbara met her husband, Curt Waite, on Palomar in the summer of 1962. She completed training as a registered nurse in 1967, and she and Curt left California for adventures in other states and overseas as missionaries. 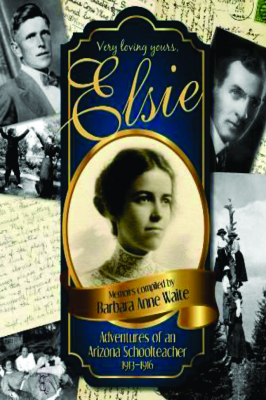 When Elsie died in 1987 (just short of 100 years old), Barbara read the diaries and letters Elsie had saved. She began making plans to compile this compelling love story of her grandmother’s three years teaching in rural Arizona. During her life, Elsie wrote for magazines and newspapers, but none of those stories compared to the story revealed in the diaries. Barbara traveled to Arizona to interview former students who remembered their teacher Elsie from 75 years earlier. Research uncovered the meaning of cryptic notes from the diary and Elsie: Adventures of an Arizona School Teacher 1913-1916 was published weeks before the State of Arizona celebrated its centennial in 2012. That book, published six years ago has been voted on Goodreads as the #1 memoir “Old West in First-Person.” It has sold over 3,000 print copies and 5,000 e-books. Many readers requested the “rest of the story,” the California years. 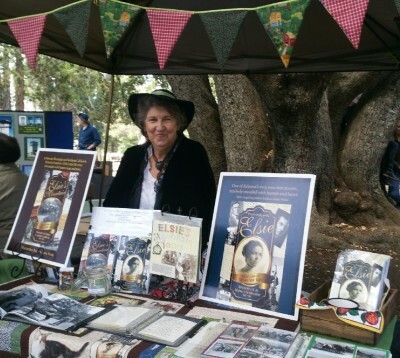 So, in 2016 Barbara sold the first copies of “Elsie’s Mountain” at the Apple Festival on Palomar Mountain. 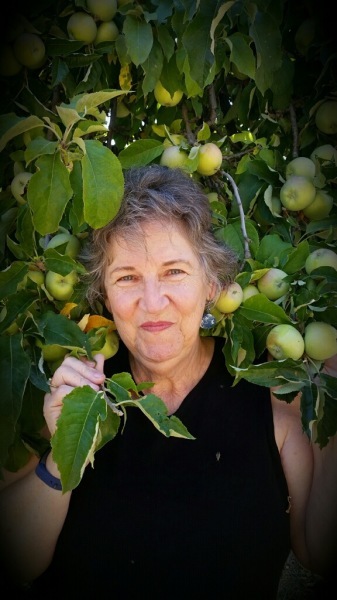 (The apple trees, planted on Palomar in 1904 by Elsie’s father, still produce lovely apples). Barbara crafted this memoir from the memories Elsie continued to write down while in her nineties, and from handwritten notes on scraps of paper, diary entries, manuscripts, poetry, news articles, and photos which Elsie had preserved in her cedar chest. The book includes vintage photos and vivid word pictures of life as it was over 100 years ago in Virginia, Long Beach, San Diego, and on Elsie’s mountain—Mt. Palomar. 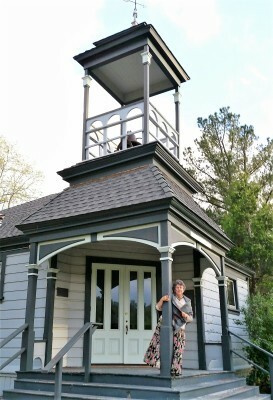 Barbara speaks at women's church events, historical societies, women’s clubs, Rotary groups, libraries and genealogical societies. "I have tried not to interpret Elsie’s story. In the book by Markus Zusak, The Book Thief, Max says to Liesel when giving her a blank notebook, 'Words are life, Liesel. All those pages, they’re for you to fill. I’m not lost to you, Liesel. You will always be able to find me in your words. That’s where I’ll live on.' Elsie's words live on to tell her story."